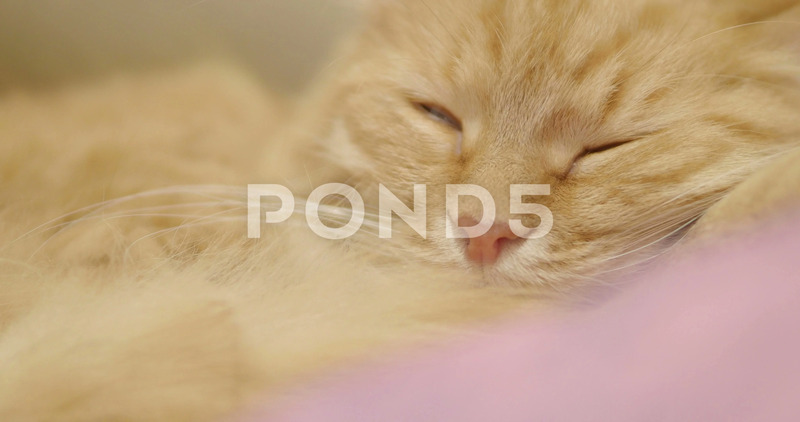 Description: Cute ginger cat lying on violet blanket. Close up footage of sleeping fluffy pet. Cozy home.